Meeting basic human needs in the name of Christ. 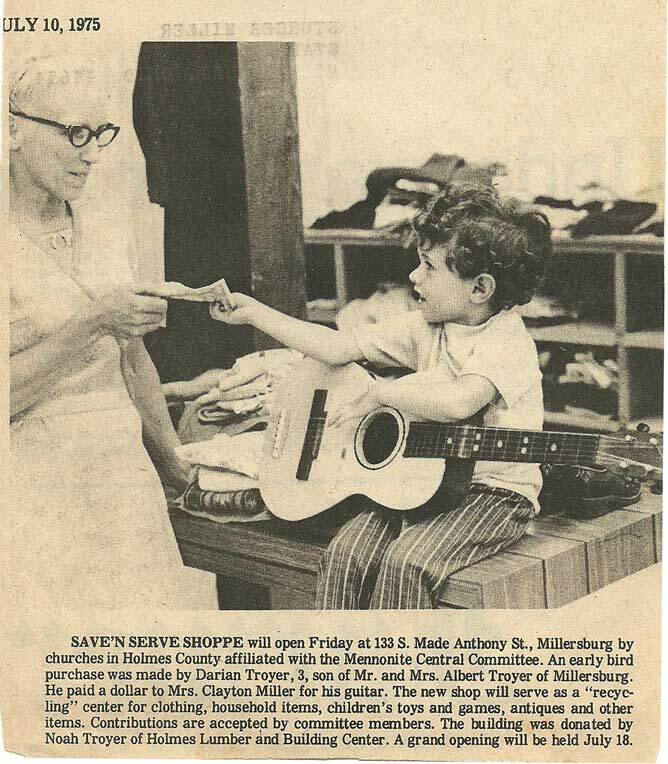 In 1975, a group of individuals with a global vision began a small thrift store to assist the local community and generate funds to support Mennonite Central Committee. Although we just occupied a small storefront on a side street in Millersburg, Ohio, we soon grew and needed more space. In 2006, Save & Serve moved to our current location on South Washington Street. Our team consists of a staff, a board, and hundreds of volunteers who are the backbone of our service. Over the years, we’ve grown tremendously, but our goal remains the same: to meet basic human needs in the name of Christ. We exist to meet basic human needs in the name of Christ in our community, whether it’s our neighbors in Holmes County or our neighbors in Hungary. We embrace our responsibility to support and improve our local community. Save & Serve helps fund community initiatives as a way to give back to the community. Recent examples include: Mt. Eaton Care & Birthing Center, H15 Youth Ministry, Isaiah 58:12 Safe House, and a transitional housing ministry. Save & Serve works hand-in-hand with local ministries and service providers including Love Inc., Salvation Army, Job & Family Services, the Holmes County courts, the Holmes County Education Foundation and the Share-A-Christmas program. Save & Serve Thrift Shop is a non-profit resale store, part of the MCC Thrift Shop Network of more than 100 independently governed stores across the United States and Canada. MCC Thrift Shops support Mennonite Central Committee (MCC), a worldwide ministry of Anabaptist churches. MCC shares God’s love and compassion for all in the name of Christ by responding to basic human needs and working for peace and justice.